Is the indirect sales model still relevant? Three years ago Phones4U was in the throws of liquidation. A boon for Carphone Warehouse who grew share and category from 16% to 24% as customers sought an alternative independent experience. 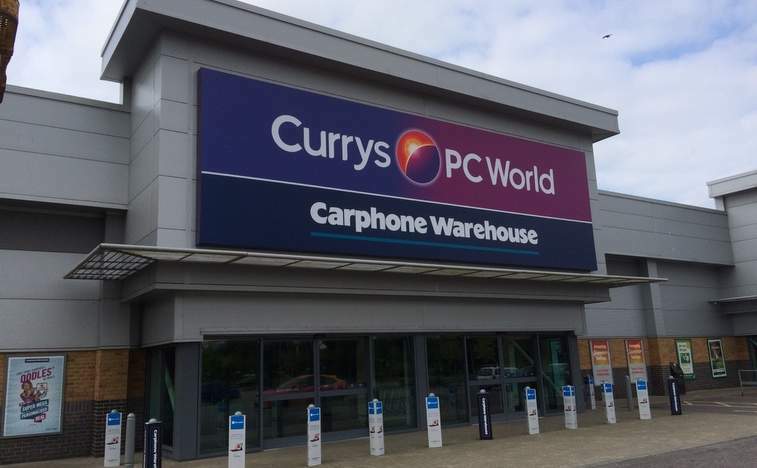 However, when Dixons Carphone issued a profit warning this month nerves started to wash through the industry, exacerbated by the decision to exit the Phonehouse brand in Europe and sell the iD MVNO in Ireland, a venture it only set up two years ago. Among the many calls I’ve had, particularly with investors and analysts, the topic of conversation has been centred on whether the indirect retail model is relevant today. After all, statements used to describe the offloading, such as ‘flourish under dedicated management’, makes one wonder if even the senior leadership thinks the days of Carphone Warehouse are numbered. So what’s the answer I’ve been giving? In the last three years things have moved on considerably. People have got wise to the way the traditional contract model works and are now buying online and splitting their handset from their SIM, using services from Apple and even online dealers like Unshacked.com (which happens to be run by ex P4U guys, but that’s another story). Networks are dramatically expanding their reach by doing new distribution deals like the one between EE and Argos, Sainsbury’s, and the recent operator sub brand launches from Vodafone and Three. While all that maybe true, you just need to delve a bit deeper into the numbers to see that Dixon’s core retail business is doing well. Electricals have shown solid growth and iD UK, which acts as a useful tool to mop up excess category demand for times when MVNOs turn down acquisition, is growing well. Most importantly though, all the market indicators show there is still a contingent of consumers for whom the independent dealer experience is still relevant. Graystone Strategy research shows that there are two cohorts – Digital Devotees and Technology Trailblazers – who prefer to purchase from an independent specialist. What’s more there are also interesting stats on the other commodities these segments would consider buying. Gas, electricity, TV, broadband and telecoms multi-play are all products that they feel comfortable buying from the same provider. To put some numbers on it, 81% of Technology Trailblazers and 82% of Service Seekers are open to a multi-play offer. it’s clear that survival rests on a radical shift in its strategy. Firstly its got to adjust the sales model and its reliance on operators, especially given the shift in the MVNO market. Operator sub brands are very likely to replace a number of MVNOs, even more so with Brexit around the corner. The operators have woken up to the fact that they can grab more customers, more cheaply, through sub brands. As such, operators are changing the retail channels they use to acquire customers and if CPW doesn’t change its approach they simply won’t be a part of the retail model. They must demonstrate to operators how they add value with certain segments and enhance the “in store experience” for those segments. The second change needs to be in its approach to customers and expanding its appeal. Its fate isn’t all about smartphone innovation as they claim, nor the impact of legislation like Roam like Home (which wasn’t a surprise and could have been better planned for). Diversification is crucial. Whilst paid for services remain confusing to customers there will always be a role for an independent specialist to help customers. Dixons Carphone has already recognised this by launching its simplify digital initiative online and in store. This sets the brand up well to take advantage of the many connected home and IOT services that are just around the corner. It won’t be easy to switch on overnight. It will take planning and a comprehensive review of the segments it serves now and should in the future. Identifying what these customers need, the offers that will appeal and the way they like to shop will inform a new proposition strategy. And I think that if they get this evolution right they will endure.